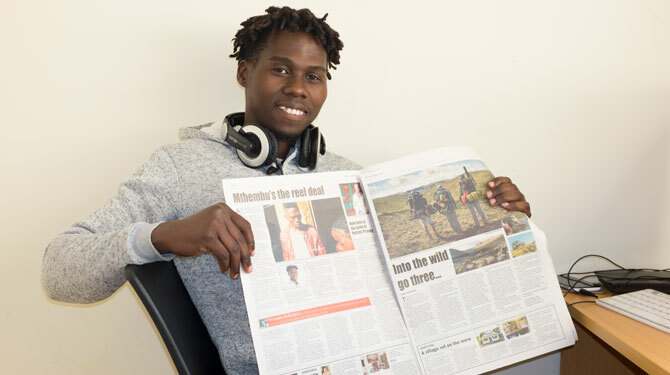 A story about Global Latitude’s Andile Mthembu and his path to creating full-length feature films without training or investment, has featured in The Meander Chronicle, a local KZN Midlands newspaper. Andile assists us with corporate video production services and stock video creation and administration, but the story about how he dreamt of making his own movies and how he’s managed to accomplish many of those goals is truly inspirational. May the 4th be with you . . .
As a group of unashamed Star Wars nerds, our team put a quick digital effects composite together to celebrate today – the unofficial international Star Wars day. So May the 4th be with you. Yes, that’s a tie fighter our Bradley Bell animated and composited to fly over a Hilton, KZN forest. The sound effects and music are from YouTube.